Weaver Austin Villeneuve & Sampson LLP is a growing San Francisco Bay Area (East Bay) patent law firm with over 20 registered patent practitioners and a diverse client base. We are seeking patent agents, attorneys, engineers and scientists with technical backgrounds in computer software, databases and/or electrical engineering for patent preparation and prosecution. We have lots of work and want motivated applicants who want a full-time position with a full workload, as opposed to those looking for part-time work or a contractor position. We offer a percentage-based compensation plan to reward hard-working practitioners. For experienced practitioners, telecommuting is available. We have a supportive and friendly work environment and a highly qualified support staff. Entry level patent practitioners are trained and can obtain patent bar registration soon after joining the firm. Our office is in Oakland near the 12th Street BART station. To apply, email jgriffith@wavsip.com. Please include resume, transcripts, and two technical writing samples. 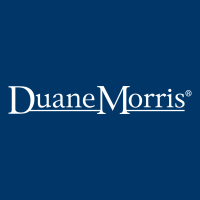 Patent Agent – Large Corporation – San Francisco, Calif. 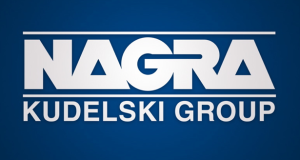 The Kudelski Group (the “Group”) is looking for a Registered U.S. Patent Agent with a strong technical background in the computer sciences and software technology to join the Kudelski Intellectual Property and Innovation (“KIPI”) team. The patent agent will work closely with KIPI’s patent attorneys to support KIPI in implementation of IP strategy for the Group and assist in worldwide protection and support of the Group’s IP and innovation. A successful candidate will have experience capturing inventions, drafting and prosecuting patent applications, and communicating with technical and business clients and partners. The patent agent needs to thrive in a complex, fast-paced, and dynamic business environment, and also enjoy collaboration and teamwork with fellow patent professionals and business partners. Develop a deep understanding of the Group’s various technologies (cybersecurity and video content management, security and delivery), market players, services, and providers. Conduct innovation and invention disclosure sessions with inventors worldwide to drive innovation and capture inventions arising out of the Group’s businesses and technologies. Assess invention disclosures and conduct prior art analysis to develop invention disclosures and select for submission to patent committee. Participate in regular patent committee meetings to review invention disclosures and make patent operational decisions with technical leads and KIPI members serving on the committee. Stay current with patent law changes and support development, maintenance, and education of best practices for US and worldwide patent systems. Review and manage outside counsel following outside counsel guidelines and budget for preparation and prosecution of patent applications. Manage office actions, foreign filing decisions, appeals, continuations, new filings, and occasionally draft applications to ensure compliance with varying global patent prosecution and enforcement systems. Assist in implementing on the patent strategy for mitigating patent risk and leveraging the patent portfolio to meet business goals. Participate in and drive processes for strategic and quality review of preparation and prosecution of patent applications. Support case development for licensing and patent litigation in support of competitive threats and targets within the scope of IP strategy. Assist in analysis of applications/patents being considered for use in licensing, acquisition, or divestiture. Oversee implementation and expansion of inventor recognition program. Ensure Group maintains a “Best in Class” asset management process with excellent results. Self-starter who can work well as part of a cross-functional team based around the world. Excellent communication skills, the ability to work with various levels of management, strong analytical skills, and detail oriented. Strong organizational skills, e.g., maintaining attention to detail on multiple projects simultaneously, and the ability to adjust to changing priorities and deadlines. Capacity to proactively isolate and prioritize issues and to focus on implementing both top-level, strategic solutions as well as the day-to-day initiatives. Ability to quickly assimilate and understand complex situations and information, including highly technical information. Able to quickly establish credibility, respect and trust with internal clients/stakeholders and external service providers and business partners. Strong sense of ownership, integrity and courage of conscience. B.S. in Computer Science, Computer Engineering, Electrical Engineering. Exposure and/or passion to learn the Group’s technologies including video content delivery, video security (e.g., DRM, conditional access), and cybersecurity. 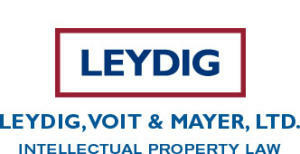 Solid understanding of U.S. patent laws and USPTO procedures. Proficiency with USPTO electronic systems (PAIR, PatFT, EFS Web). Possess qualifications and desire to sit for the USPTO Patent Bar examination for registration as patent agent. At least 1-2 years of patent preparation and prosecution experience of software applications. Exposure to foreign patent laws and/or patent office systems. Fluency in English language and excellent communication skills, particularly written communication skills. Proficiency with MS Office Suite (Word, Excel, PowerPoint). Experience conducting invention disclosure/harvesting/mining sessions with inventors. Advanced graduate degree in Computer Science, Computer Engineering, Electrical Engineering. 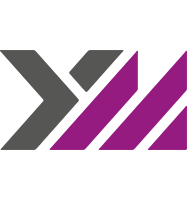 Solid technical knowledge, industry experience, and/or education in the Group’s technologies including video content delivery, video security (e.g., DRM, conditional access), and cybersecurity. Registered or pending registration as patent agent with the USPTO. At least 1-2 years of practice supervising and/or providing strategic guidance in the preparation and prosecution of applications in foreign jurisdictions, in particular with Europe jurisdictions. Knowledge of foreign patent laws and/or patent office systems, preferably European patent laws and European Patent Office (EPO) procedures. At least 3-4 years of patent preparation and prosecution experience of software applications, preferably experience involving the technologies aligned with the Group’s business. At least 1 year of experience independently conducting invention disclosure/harvesting/mining sessions with inventors. Experience assessing invention disclosures for patentability. Experience conducting prior art analysis for patentability, and/or patent infringement or validity. Fluency in French is beneficial. To apply, please visit this link: https://careers.nagra.com/?page=advertisement_display&id=10854. Yangtze Memory Technologies Corporation (YMTC) is an integrated-device-manufacturing (IDM) memory company with a focus on the design, production, and sales of 3D NAND flash memory chips. YMTC's Intellectual Property Department (IP) is seeking a highly motivated patent licensing attorney. In this role, Counsel will help provide legal support for all our products and businesses across the globe. Counsel will manage patent assertions and patent licensing, advisement on all types of IP transactions, and due diligence for acquisitions. A J.D. degree from an accredited US law school and admission to a state bar. To apply, please send your resume and cover letter to William Shen (weimin_shen@ymtc.com). Yangtze Memory Technologies Corporation (YMTC) is an integrated-device-manufacturing (IDM) memory company with a focus on the design, production, and sales of 3D NAND flash memory chips. YMTC's Intellectual Property Department (IP) is seeking a highly motivated patent litigation attorney. In this role, Counsel will provide the critical support needed worldwide for all YMTC products and businesses. We are looking for a patent litigator with great judgment and communication skills, and a demonstrated ability to manage the day to day progress of patent cases. You will be a self-starter who can quickly learn YMTC's patent litigation docket and practices, identify and manage risks and exposures, and find strategic opportunities for resolution. Formulating and driving strategy on patent litigation matters and issues. Yangtze Memory Technologies Corporation (YMTC) is an integrated-device-manufacturing (IDM) memory company with a focus on the design, production, and sales of 3D NAND flash memory chips. YMTC's Intellectual Property Department (IP) is seeking a highly motivated trademark, copyright, and/or trade secret attorney. 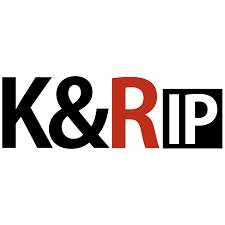 In this role, Counsel will be a subject matter expert and business partner who will provides legal advice concerning trademark, trade dress, design, copyright, domain name, and trade secret. Yangtze Memory Technologies Corporation (YMTC) is an integrated-device-manufacturing (IDM) memory company with a focus on the design, production, and sales of 3D NAND flash memory chips. YMTC's Intellectual Property Department (IP) is seeking a highly motivated patent attorney. In this role, Counsel will support the IP's efforts to build and maintain a high quality patent portfolio that furthers the goals of YMTC's dynamic business. More specifically, the successful candidate will be responsible for personally drafting and prosecuting strategic, high quality patent applications, while supporting the department in a number of other activities critical for its success. To apply, please send your resume, cover letter, and a recent writing sample, such as a published patent application and/or published Office Action response, to: weimin_shen@ymtc.com. Reichman Jorgensen LLP is seeking to hire exceptional associates for patent litigation who are passionate about trial work. Reichman Jorgensen LLP is an innovative, disruptive law firm that pays above market and has no set partnership track; associates move up when ready. The firm has eliminated the billable hour – we value efficiency, stellar legal skills, productivity, and entrepreneurial spirit. The firm represents a diverse array of clients, both plaintiff and defendants, large and small. We value candidates with a diversity of experience and background, including a commitment to public service through pro bono work. Patent litigation experience is a plus, as is a technical background and having the ability to work out of our Silicon Valley or Washington, D.C. offices. Please check out https://reichmanjorgensen.com/careers for more information. To apply, please email kfalkenstien@reichmanjorgensen.com. Job Location: Silicon Valley, California or Washington, D.C. Prosecution Associate (Chemistry) – Law Firm – San Francisco, Calif.
Mintz seeks an experienced associate with a chemistry background (preferably in organic chemistry) to join our San Francisco office. Ideal candidates will have 3 to 5 years prior law-firm or in-house patent prosecution experience. Handle a variety of patent projects, including patent drafting, prosecution, opinions, due diligence, reexaminations, and advising clients on issues relating to patent portfolio management and licensing. Ideal candidates will have 3 to 5 years of IP prosecution experience and must have a strong educational background, including a J.D. and a M.S. or Ph.D. in Chemistry or Organic Chemistry, or suitable laboratory experience. Candidates must be detail oriented and possess excellent written and oral communication skills. Admission to the California bar (or ability to sit for it) is required. USPTO admission is preferred, but not required. Apply online by visiting this link: https://careers.mintz.com/viRecruitSelfApply/ReDefault.aspx?FilterREID=4&FilterJobCategoryID=1&FilterJobID=1169. Applications must include a cover letter and resume. Patent Portfolio Manager – Other – San Francisco, Calif.
Cruise Automation, who creates autonomous driving technology to build a safer and more efficient world, is seeking a Patent Portfolio Manager. Administer Cruise’s patent program, including promotions, incentives, recognition, and training. 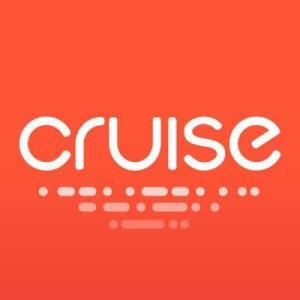 Apply online by visiting this link: https://boards.greenhouse.io/cruise/jobs/1375504.